You may or may not have heard about polyglot persistence. The fact is that more and more, software projects are making use of different technologies. And when it comes to the database world, the number of options is immense: it can be relational, document or columnar databases, key-value stores, graph databases, not to mention other cloud infrastructure options like service buses, blobs, storage accounts and queues. What to use? Where? And how does that affects developers? Choosing a database is perhaps one of the most important architectural decisions a developer can make. 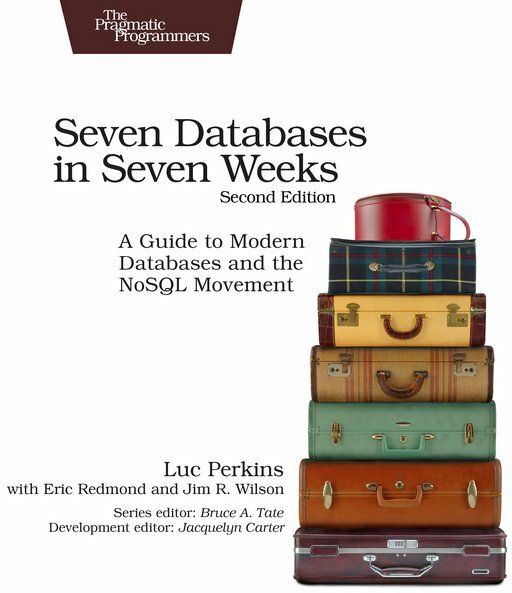 In that regard, I'd like to recommend a very interesting book that addresses some of that discussion: Seven Databases in Seven Weeks, 2nd Edition. Whether you're a programmer building the next big thing, a data scientist seeking solutions to thorny problems, or a technology enthusiast venturing into new territory, you will find something to inspire you in this book. Fore more posts on books on this site, please click here.